The eyes are one of the most sensitive parts of the body. Even the smallest particles can be felt in the eye. This sensitive surface of the eye can come in direct contact with dust, smoke, pollen and other allergens. Causing irritation and redness. The symptoms will vary from person to person, but some of the common complaints are; itching, redness, tearing, grittiness, and swelling. 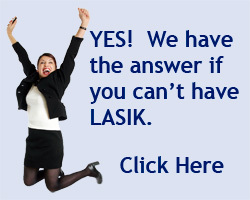 Having eye allergies is a common problem in Arizona. It is one of the more common problems that we see in the office. When the symptoms are more severe it is typical to have itching. However, when it is more mild you may only experience grittiness and uncomfortable eyes. This can make wearing contacts lenses difficult if you are having trouble with allergies. Sometimes people will have a combination of problems like dry eye and eye allergies making their eyes very uncomfortable. If you have eye allergies or any other kind of allergic disease, the most effective treatment is prevention: try to avoid the allergens that trigger symptoms. For many, this is easier said than done, especially if what is the source of the problem is airborne, such as pollen. 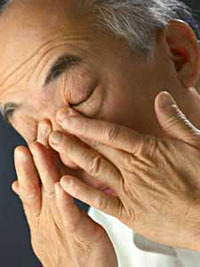 When eye allergies need help there are several things you can do at home. Ice packs to the eyes will greatly reduce the itchy eyes. Artificial tear drops can be helpful by physically washing away the dust or pollen. Also available over the counter are allergy eye drops and pills.